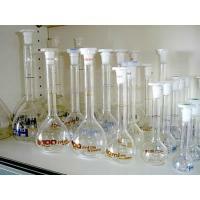 Gauge glass also named sight glass or level gauge glass. 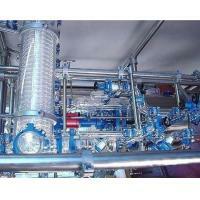 According to the application requirement for pressure and temperature, different material is used. Each type max working temperature is shown below. 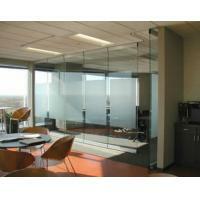 Soda-lime glass (window glass) widely used for lower cost, working temperature up to 230 °C. 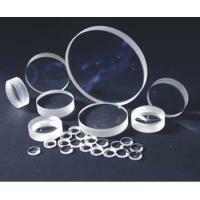 Borosilicate glass particularly useful for applications in aggressive environments (acids, alkali, water vapor), working temperature up to 350 °C. Aluminosilcate glass have similar properties to borosilicate glass, but with better chemical resistance and higher permissible operating temperature of up to 600 °C. Quartz glass has long range light transmittance (from ultraviolet to infrared), and its operating temperature is up to 1100 °C. GG-01: Different dimension round sight glass with clear surface and well grinding edge finish used in flange. 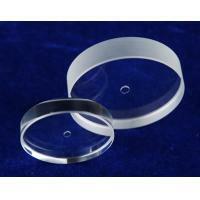 GG-02: Round sight glass with a hole in the center make it convenient to clear the surface of the glass. 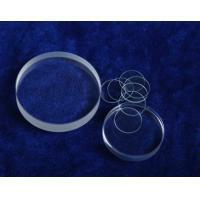 We can produce wide range dimension of round sight glass. It is mainly used to observe the level of the boiler or other equipment filled with liquid, also can be used as watching glass window for thermal and chemical reaction. Dimensions of round sight glass. Special requirement is available, such as dip hole in center, polishing edge and so on. 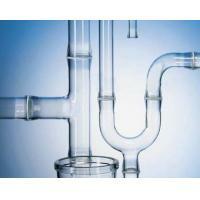 Transparent (smooth) level gauge glass is used to observe the liquid level of the boiler or other liquid tanks. Due to the boiler water high temperature and pressure working environment, borosilicate or aluminosilcate glass is used to meet the requirement. 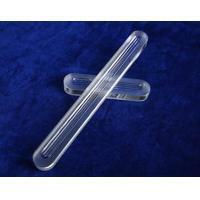 GG-03: Strip gauge glass are used in industry to observing the flow of liquid and liquid level. 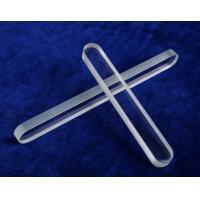 GG-04: Thick strip gauge glass make it can withstand acid, alkali, high temperature and high pressure. 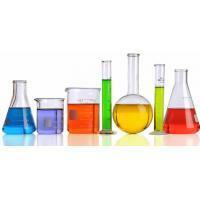 According to the width and thickness of the glass, mainly four types are classified. type A: width 30 mm, thickness 17 mm. type B: width 34 mm, thickness 17 mm. type H: width 34 mm, thickness 22 mm. type TA 28: width of 27.6 mm, 16.8 mm. GG-05: Transparent level gauge glass drawing, the L, W and H in following chart are according to this picture. Glasses are all made strictly according with DIN7081. 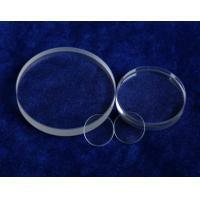 Gaskets and mica sheet can also be provided together. 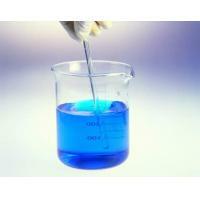 Borosilicate glass can withstand up to 400 °C, 180 bar. 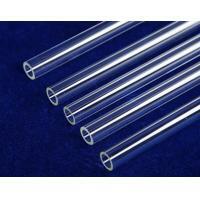 Aluminosilcate glass can work up to 660 °C, 180 bar. 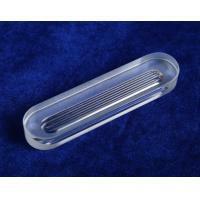 Reflex gauge glass are used to read the water level of the boiler or tank. It have 3, 4 grooves longitudinal printed on the glass. The grooves in water can help increase the angle of refraction, so the visibility of the liquid level is much better then without grooves. With the grooving increases the angle of refraction which makes the visibility of the liquid level is much better than when using smooth glass. 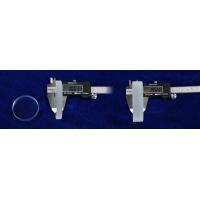 GG-06: The reflex gauge glass with one groove makes the liquid level clear. 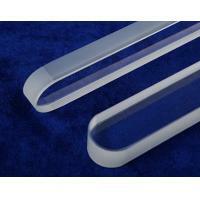 GG-07: The reflex gauge glass with more grooves can be supplied together with gasket to seal and buffer the extrusion. type A - width 30 mm, thickness 17 mm. type B - width 34 mm, thickness 17 mm. type H - width 34 mm, thickness 22 mm. 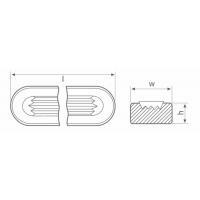 Type C - width of 20 mm, thickness 12 mm. 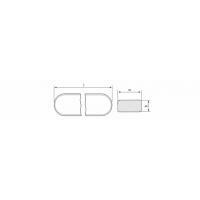 Type D - width 25 mm, thickness 15 mm. GG-08: Reflex gauge glass drawing, the L, W and H of reflex gauge glass in the following chart are according to this picture. 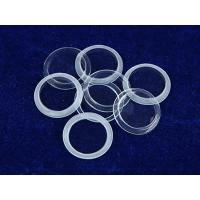 Diameter ≤0.5 mm, in 10 mm × 10 mm area the quantity ≤3. Diameter from 0.5 mm to 1.5 mm dispersive air bubble, there is less than2 on the sight plane and less than 5 on the No-sight plane. Bubble distance > 40 mm. The air bubble of diameter from 1.5 mm to 2 mm ≤3 on the No-sight plane. Their distance > 40 mm. Do not contain slag and scrap etc. Stripe: don't have palpable filaceous and pectinate stripe on the sight plane. Cockle: In the side face, don't have the cockle of depth > 1 mm. Crack: don't have crack anywhere. We can produce all kinds of glass products according to your requirements. We have the advanced grinding machine to make sure the quality of products. We use the first class polishing machine so that our glass products have clear, no bubble, no cracking surface.